[INFO] 181220 東方神起 Enters Top 20-75 in Oricon Annual DVD, Blu-ray, Single and Album Rankings for 2018! Oricon Annual Ranking and sales for 2018 was revealed (covering sales within 2017/12/11～2018/12/09), and Tohoshinki were present in different categorises as follows! No. 25 TOMORROW with 153,262 copies! No. 45 Reboot with 152,538 copies! [INFO] 181109 #東方神起 LIVE TOUR 2017 ～Begin Again～ DVD has been Certified GOLD by RIAJ for 2018/10! Tagged Begin Again Tour DVD, Japan, Records/Achievements, Tohoshinki, TVXQ! Today we are holding a special screening featuring live footage of TVXQ. 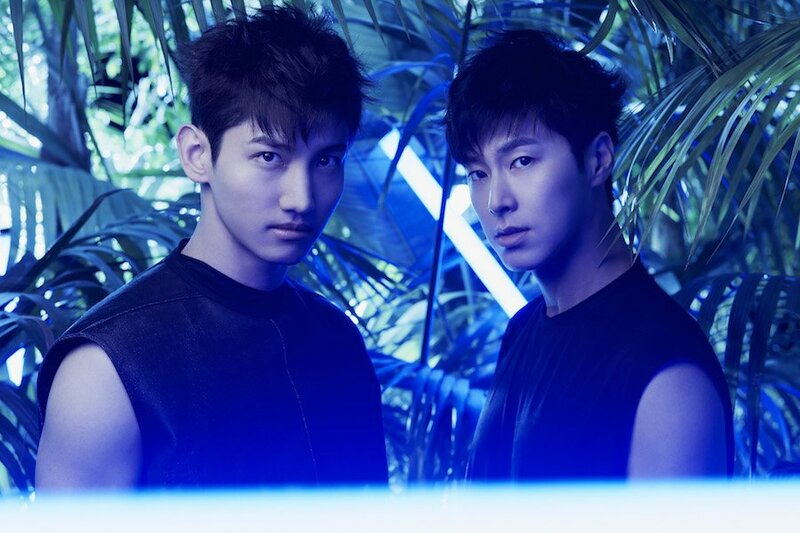 TVXQ special screening & live streaming at 16:00 & 18:00!※Japan Standard Time(JST). Check official site/FB/Twitter 2 hour before showtime for links. Order your copy now out of different versions all sold online at stores such as: Amazon Japan, and HMV Japan! third teaser! Order your copy now out of different versions all sold online at stores such as: Amazon Japan, and HMV Japan!